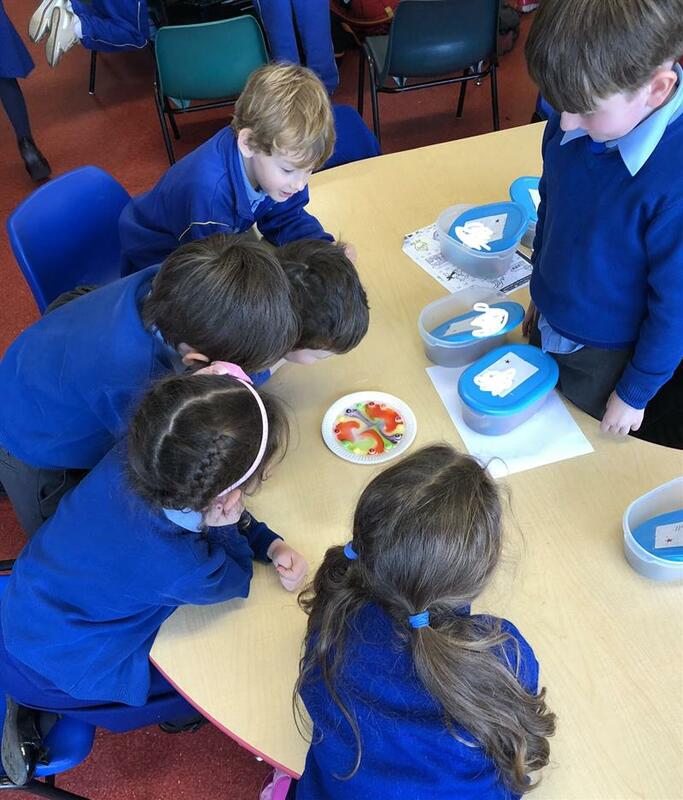 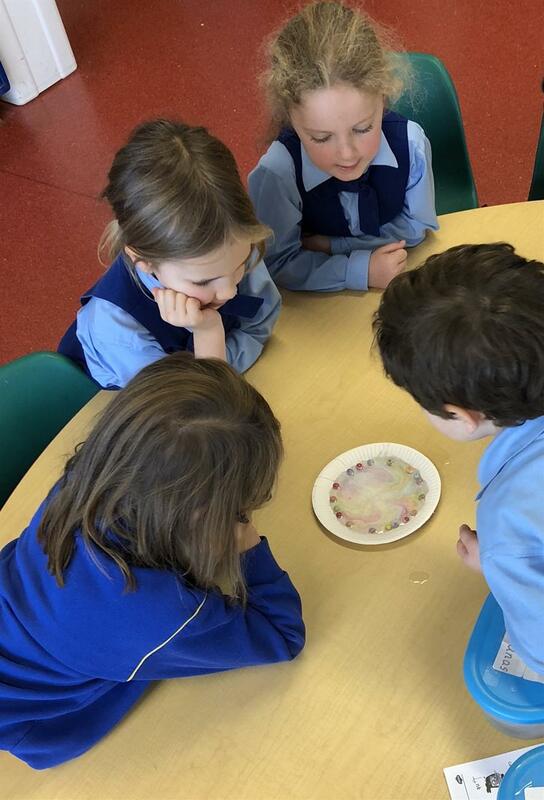 Because it's Science Week we were investigating what happens when hot water meets Skittles. 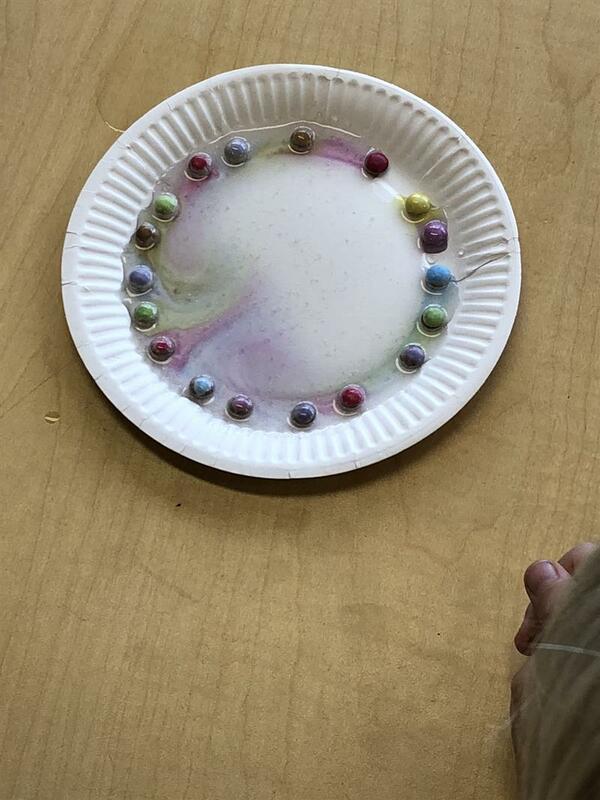 We also compared what happened when hot water meets Smarties. 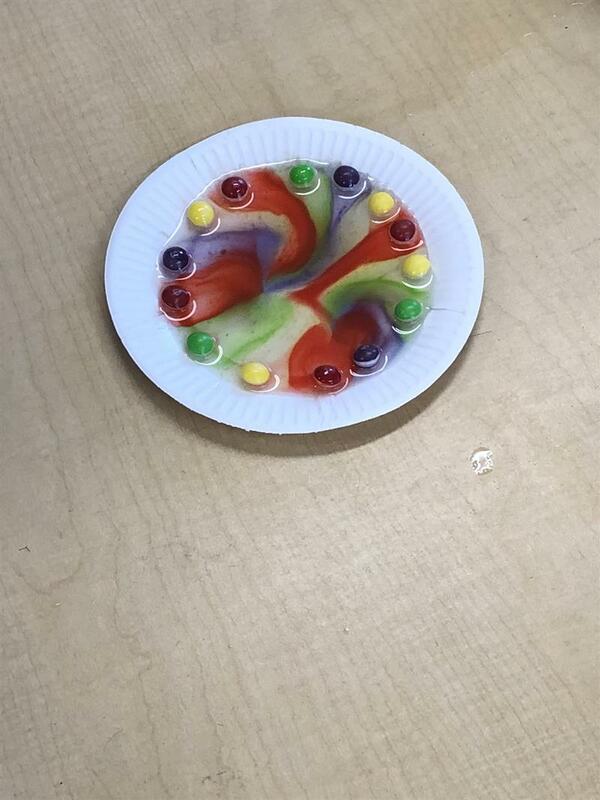 Which reaction do you prefer?